Madison Holleran. All Lanesha Reagan could think about was Madison Holleran, the University of Pennsylvania track athlete. 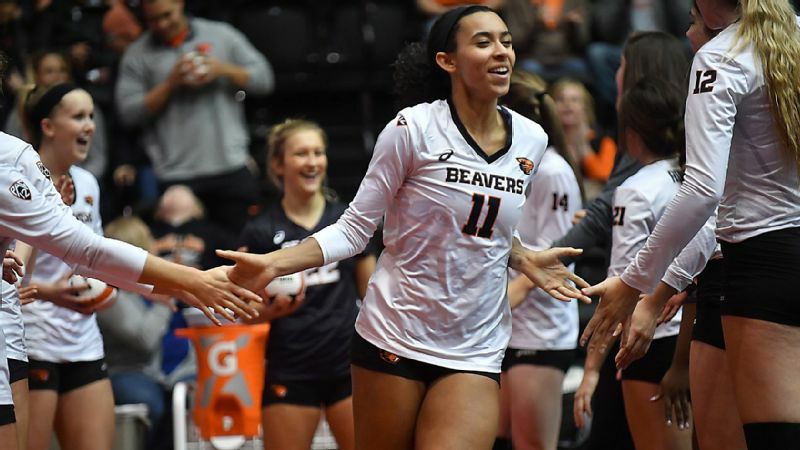 Reagan, Oregon State volleyball's 5-foot-10 starting outside hitter, known for her power and pogo-stick bounce, lay in her bed in her freshman dorm and combed through Holleran's story. Madison seemed to be gifted, kind, competitive. A budding track star, a daughter, a friend. Even a banana-and-peanut-butter aficionado. Few knew she struggled with depression and the pressures of social media. On Jan. 17, 2014, Holleran leaped off the ninth level of a parking garage in Philadelphia. She died at 19. Reagan shivered. Images of her own life swirled around her head: years of masking her pain, years of blocking out her shame, years of wishing she inhabited a body other than her own. "That honestly could have been me," Reagan said. "If things would have been different ... I have no doubt in my mind that that could have been me." Reagan, who will be a senior next season, remembered this moment as she typed until she couldn't type anymore in early January. Few knew she was about to post: "Being a Student-Athlete and Living with Mental Illness." Not her grandparents, Dorothy and Patrick Reagan, who raised her; not her best friend, Ellen Anderson, the peanut butter to her jelly since age 4. Reagan didn't want to sound ungrateful for her Division I athletic scholarship. She didn't want to alter anyone's image of her: outgoing, smart, warm, bold. Passionate about her English major and writing minor, books and Beyoncé. A shoulder to cry on and the life of the party. "You know when Lanesha walks into a room," said McKenna Hollingsworth, a junior setter/outside hitter. Reagan's radiance caused her preschool teachers to call her "Miss Sunshine." But Reagan had to speak her truth. Not for herself, but for others. "I am so sick of feeling alone and helpless," Reagan wrote in her post. "Mental illness is not something you should be ashamed of but breaking down that stigma starts with us, the student-athletes. We can change the culture and make it easier for our friends and teammates to get the help that they need." Lanesha Reagan wants her fellow student-athletes to take the lead in fighting the stigma associated with mental illness. At age 13, Reagan dreamed of becoming a Division I volleyball player. But she also thrived in martial arts, ballet, horseback riding, dancing, ice skating, singing. "Lanesha was very driven on her own," Dorothy said. 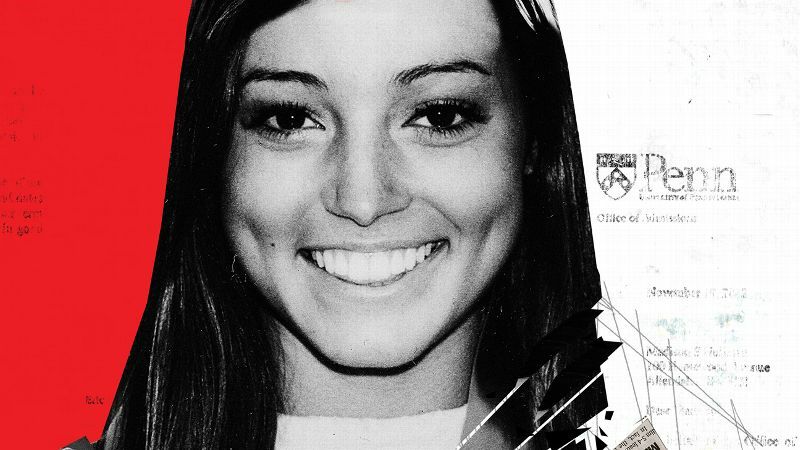 "She was blessed physically to be an extraordinary athlete no matter what sport she chose." She devoured books in one sitting and wrote short stories in her journals, later serving as editor of Snohomish (Washington) High School's student newspaper, The Arrowhead. She was crowned homecoming princess. She threw elaborate parties, including one on Halloween with more than 100 classmates. Reagan and her friends dressed up as different hot sauces from Taco Bell, like "verde," "hot" and "spicy." Reagan was "fire." Reagan's 36-inch vertical jump -- higher than the average NBA player -- wowed spectators. She had a knack for hanging a little bit longer, as if the pocket of air opened just for her. Opponents would duck and dodge her hits. 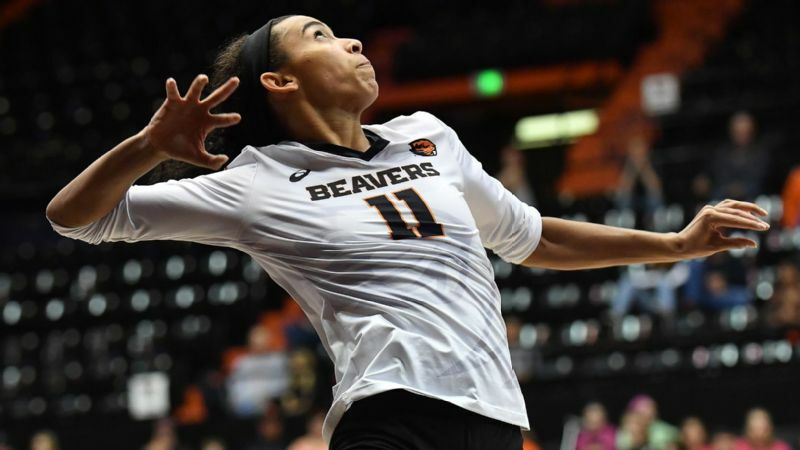 She was named an American Volleyball Coaches Association/MaxPreps Under Armour All-American and verbally committed to Oregon State as a sophomore. "I didn't have to push her to work harder because she was outrunning everybody in the gym all the time," Snohomish coach Alex Tarin said. She had to, having received her first Division I letter in eighth grade, with tons more hunting after her freshman year. The pressure pierced her. "She was really the star of the school. Everybody knew her name, was saying her name," Anderson said. "It always kind of got in her way of her love for volleyball because she was always having to be this perfect image that everyone wanted her to be." Reagan held a different image of herself. She remembers suffering from depression by the end of seventh grade. She felt alone and didn't think anyone would understand. It didn't help that her classmates in Snohomish, which is an overwhelmingly white city, taunted her mixed identity (Reagan is half African-American and half white): "You're not really black. You don't act black." Developing muscles to complement her athletic frame, Reagan longed to shrink into her friends' petite bodies and jump out of her own. She never felt comfortable in the tight jerseys, the spandex. She'd stare at herself in the mirror, disgusted, pinching her skin. She developed an eating disorder, a mix of anorexia and bulimia -- the latter became the bigger struggle. She ingested just enough Honey Nut Cheerios and Gatorade to survive practice. Yet she craved those two hours because she could jump and hit and block and not think about anything else. By eighth grade, she began cutting on her upper hips with razor blades she removed from her shavers. Once she cut all over her stomach and didn't realize it until she was done; it happened so quickly. "I was just numb to feeling," Reagan said. "I wanted to feel something and that was the only way I could." She willed herself to become a mountain: tall, strong, solid, and no matter the snow, hail or rain that enveloped her, she would shine. "I just knew that I had to always be happy," Reagan said. During her junior year of high school, she cut into her hip so deep that the scar turned white. The 16-year-old went to a doctor, who looked horrified at the sight of the mark. Reagan, exposed for the first time, felt horror too. But it wasn't the scar that brought her to the doctor. That scar had lived there for almost two months. The night before she sought medical help, a Thursday, Reagan confronted herself in her bathroom mirror after another volleyball practice earlier that day. She felt tired, so tired, of fighting through school, through socializing, through stardom. "Yeah," she said to herself. "I'm done." Reagan downed pill after pill, a mix of Excedrin and NyQuil, too many to count, too many to reconsider. Then, she surprised herself and woke up the next morning. Awoke to a pain worse than anything before. She told Dorothy her chest hurt and the two went to the doctor. The doctor's face. The scar. The pills. The jolt. "I was just like, this isn't healthy. I have to stop doing this to myself because I don't want to die," Reagan said. "I want to be alive. I want to make it to Oregon State. I want to graduate." Mental illness is not something you should be ashamed of, but breaking down that stigma starts with us, the student-athletes. She felt healthier heading into her senior year. Most of her scars had faded. She stopped self-harming. She mostly stopped constricting food but still struggled on occasion. Depression wasn't something she could just turn off, but she felt hope thinking about a fresh start at Oregon State. She redshirted in 2014, her first year on campus; her prospects for playing time weren't great and she needed time to heal. She made an impact during the 2015 season and then morphed into one of the Pac-12's most lethal hitters as a sophomore. She started all 31 matches in 2016, logging the team's second-most kills (364) and digs (306), plus 29 assists, 18 service aces and 43 blocks (eight solo). She opened up, slowly, to a few of her teammates about her story. 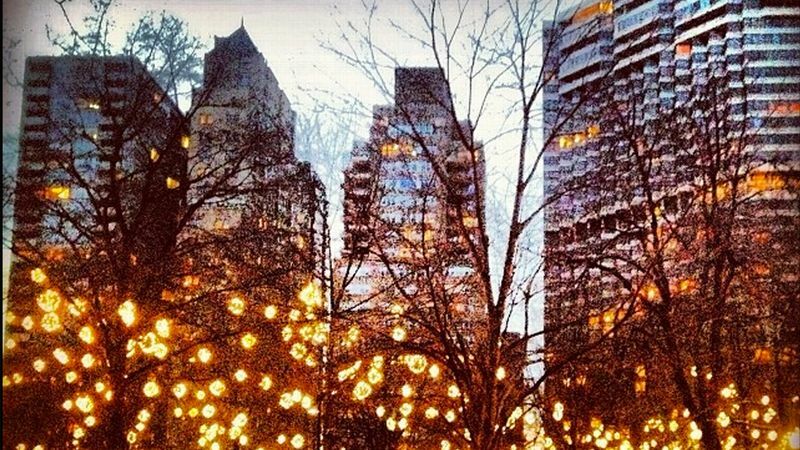 She decided to see a therapist on campus, something she never considered before. She had always written her feelings, but to speak them? And to have them heard, even understood? That was freedom. Last summer, at an OSU volleyball camp, she saw a young girl, with scars traveling up and down her arm. Reagan moved toward her, yearning to tell the girl she was sorry this was happening, that it would be OK. But Reagan stopped cold. She didn't say anything. Not a single word. Reagan was furious with herself. She felt like a coward, someone too afraid of her own feelings to tend to another's. All her life, she wished someone would have approached her, and here she was, retreating. But what if Reagan wasn't to blame? What if athletes were allowed to admit pain, to show weakness? What if mental illness was discussed out loud, not in hushed tones? Might Reagan have been able to walk up to the girl, throw her arms around her and tell her things would turn out OK? Might Reagan have been able to wrap her arms around her own body? Reagan's blog post touched the Oregon State community and beyond. "It's making a huge impact," said Mary-Kate Marshall, a senior outside hitter. Hollingsworth, who lives with Reagan and Marshall in a house near campus, especially connected with the post. She has also struggled with depression. "The way Lanesha worded it was beautiful," Hollingsworth said. "People have said that's exactly how they've felt about it, they just didn't know how to put it into words." Lanesha Reagan gave herself a simple reminder when she was a senior in high school. Earlier this year, Jordan Hankins, a Northwestern women's basketball player, died by suicide, as did John Chambers, an Oregon State men's soccer player, in 2016, and Sam Wopat, a Stanford women's volleyball player, in 2012. 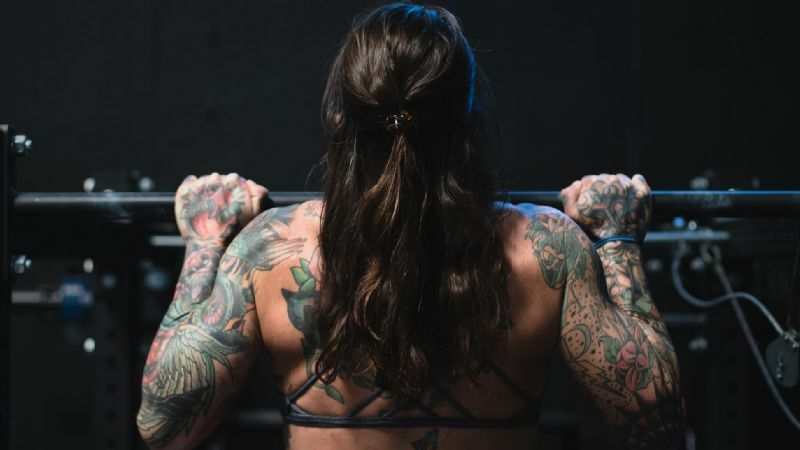 Reagan envisions a culture in which mental illness is treated with love and care, without shame and fear, a culture in which athletes are not necessarily regarded as heroes but as humans, with struggles of their own. Her message: "It's OK to not be perfect. It's OK to not be OK."
"Athletes suffer the same afflictions that the general public does," Oregon State volleyball coach Mark Barnard said. "For student-athletes, it's important for them to see, 'If Lanesha was strong enough to do it, maybe I can come out and say something.' Maybe that'll trigger them to seek help." 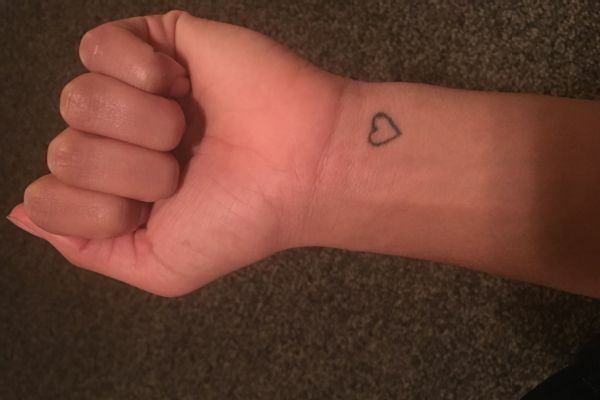 Reagan got a tattoo on her left wrist in May 2014, her senior year of high school: an outline of a heart, no bigger than a penny. Life, the heart reminds her. She's still here. She often turns to the black-and-gray quote board in her room, where she pins quotes from her favorite novels. She usually changes the quote every few weeks, but this one, from "Looking for Alaska" by John Green, stayed for a while: "We need never be hopeless because we can never be irreparably broken." Are you in crisis? Please take the first step toward getting help by calling 1-800-273-TALK (8255). The call is free, and you will be connected to a skilled, trained counselor at a crisis center in your area.